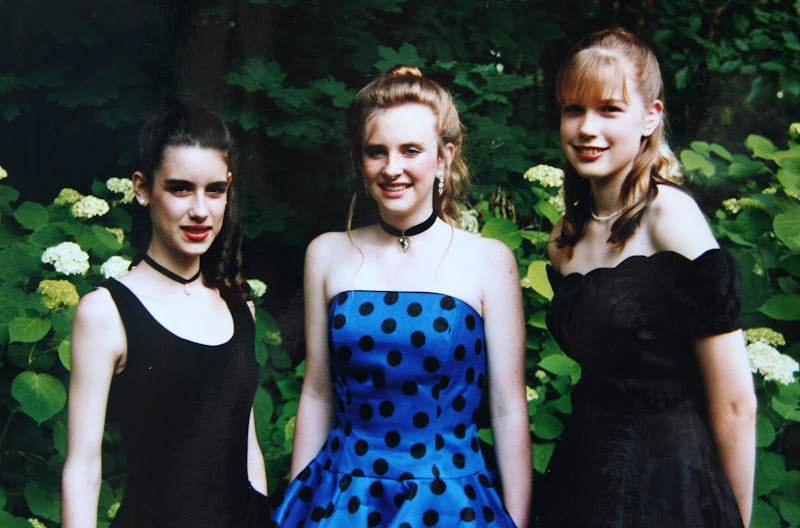 the girl in the middle in the polka dot dress is a childhood friend of my daughter e (on right) - despite the ubiquitous nature of polka dots in clothing, turns out I can't recall a single photo of me or anyone in my family of origin or creation wearing polka dots! surely, em, or my mom, sister, or grandmothers wore clothes with polka dots - if so, I have no evidence. all dressed up for the 8th grade spring dance, connecticut. 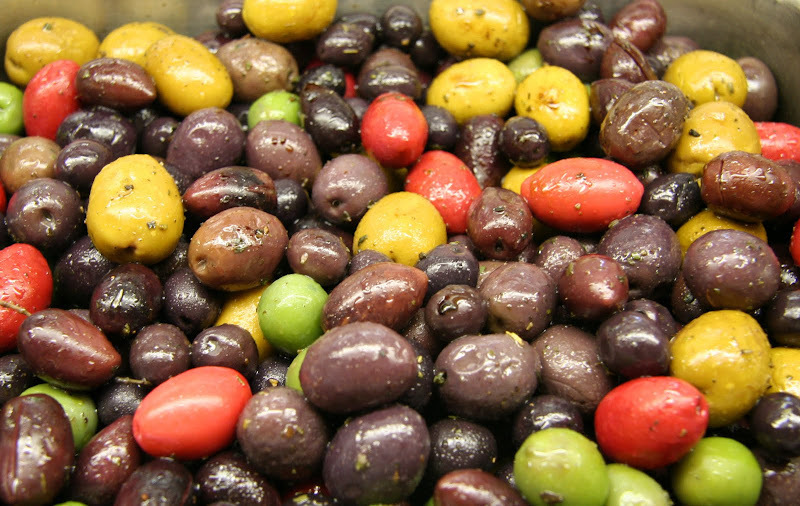 1993.
olives - delicious dots, snapped at gallucci's italian market, cleveland. 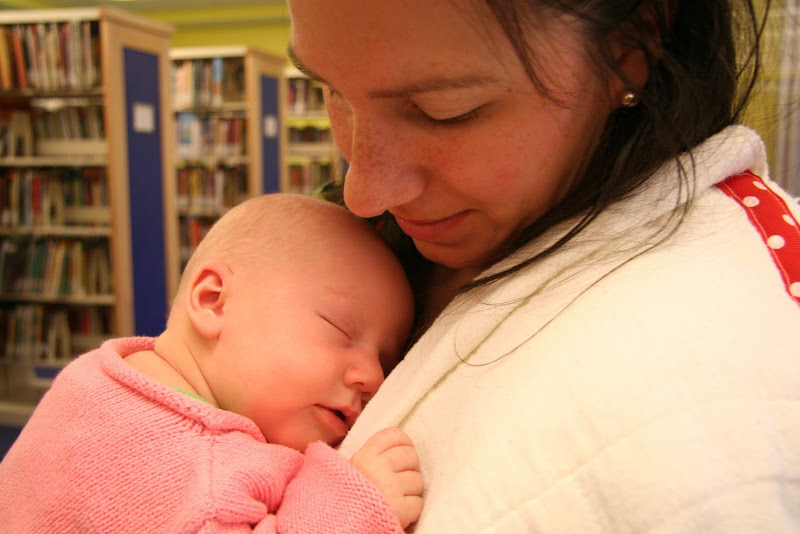 I snapped this photo yesterday when I ran into "n" at the library with her new baby "z". only when I was going through the photos I took so I could send them on to "n" did I notice the burp cloth has a strip of polka dot fabric sewn on it. 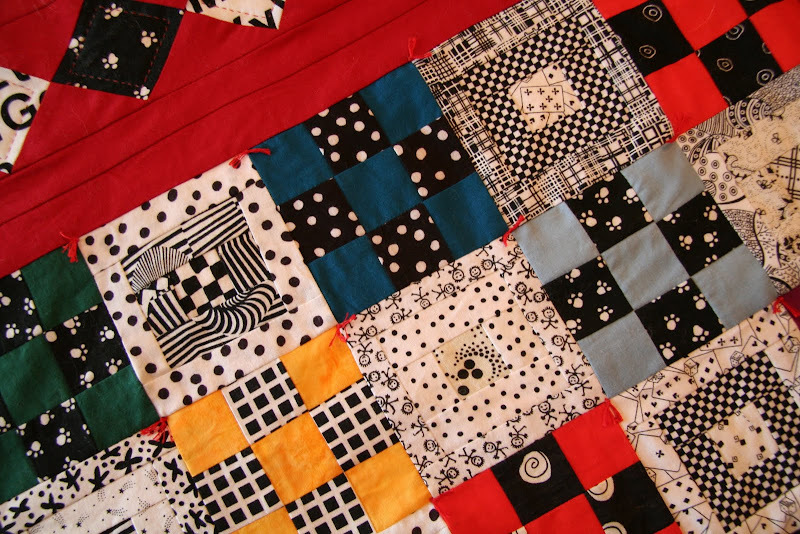 I didn't know "n' before yesterday, but I recognized the quilt when I was walking by - I instantly went over and introduced myself. 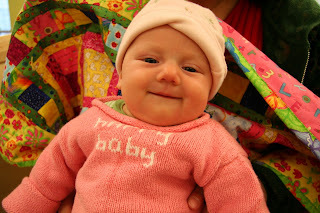 what a delight to meet the baby and to see first hand how much the quilt is loved by mom and baby! 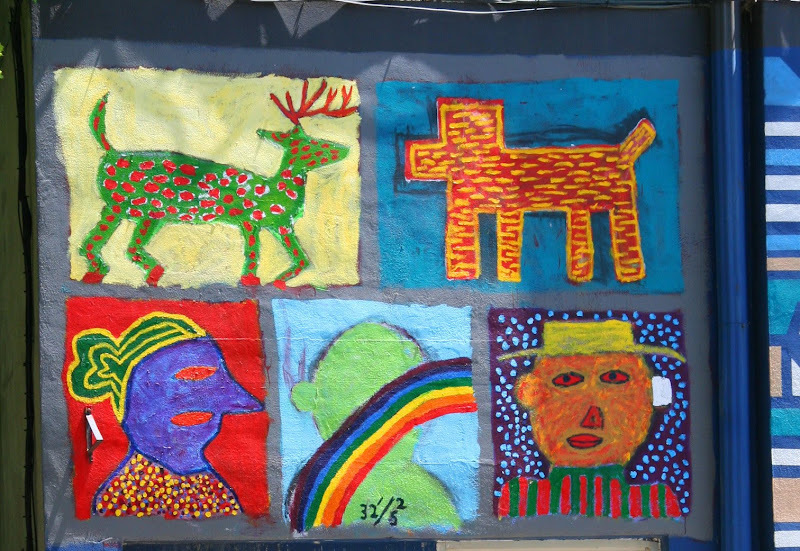 if one gives any credence to klee's quote there were plenty of dots out for a walk yesterday around town! today's song isn't 'dot me baby' or even 'rock me dotty' - it's really rock me baby. when polka dot was chosen as this week's theme, I figured I would post either a polka or one of the two songs that actually contain polka dot in the title: the classic polka dot song we all remember, or this more obscure but not less covered number. then when I remembered buddy guy's guitar, well what can I say, I'll take these jamming guitar heros anyday! yes, im sure you did wear polka dots or someone in your fam did at least once! How odd. Great photos for this them btw. Nice job. Oh, oh! I don't know where to start on this! The video is aces! The quilt! The quotes! OH you've done it again dahling. Excellent photos, wonderful words . .I'm really keen to have a bash at quilting actually. Could be my winter project. All I need now is a sewing machine. Beautiful. I just love the Klee quote. And, as usual, the photos and the commentaries are so fascinating. Thanks and happy TT. I love the jamming session, thanks for the treat. The quotes and the pics are fantastic. I too could not find any pictures of me in dots, but I did find one blouse that was given to me by my one of my sisters in the closet. I have never worn the shirt and not sure if I ever will. I was wondering why I have this aversion to polka dots and then thinking about my post, it probably explains the reason. Just funny that I never put the two together until now. nice. the rand quote caught me...as well as the statue. nice blend of dots today. several i had not thought of. happy tt! I love the dotty guitar. Oh, these are EXtra fabulous pics, Ms. Mouse. I had to stare at the beautiful library baby for a long time. Another great group of photos and quotes. I like Albee's quote and Klee's the best. Love the video. I'm going to see Buddy Guy on Sunday night at his bar in Chicago. I hope he brings his polka dot guitar! Completely enjoyable!!!! Wonderful DOTTY photos and quotes! I always love your photos and quotes, but today I was enchanted by your blog sidebar. There are so many I want to investigate! Thanks for being a clearinghouse of interesting blog connections. imagery is beautiful as always. Hey, what's up with all my blogger friends going nuts about polka dots this week? Gary at Follow Your Bliss just posted something about it too. Is this a meme tag? I have had a few polka dot ties but nothing currently in my wardrobe. Back in the early 1990s, Julie Kavner was in the long forgotten Nora Ephron film "This Is My Life" where she played a stand up comic named Dottie who always wore polka dots on stage. I think it's Julie's only leading role in a movie. In a perfect world, Julie Kavner would always play the leading lady. Do you know Faith Ringgold's quilts, or her children's book Tar Beach? I would think they would be right up your alley. terrific....all of it...a line is a dot that went for a walk...wow! Heh, heh! Buddy has about 4 guitars with polka dots on them, all different color schemes. As usual , good collection of photos and quotes. Crazy. 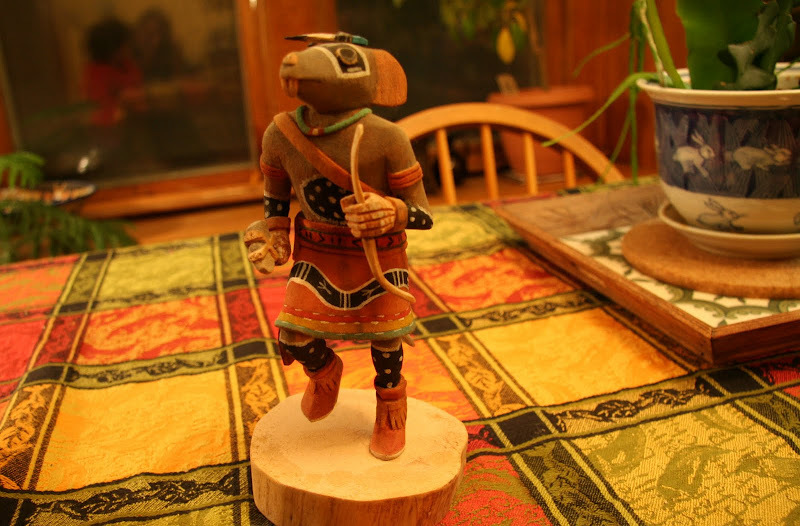 I went to high school with some Hopi, and there was an odd familiarity upon seeing that mouse figure. Ah, nostalgia... I'll take it where I can get it. love, love, love this post. your daughter looks like you! what lovely innocence on all three girls faces. 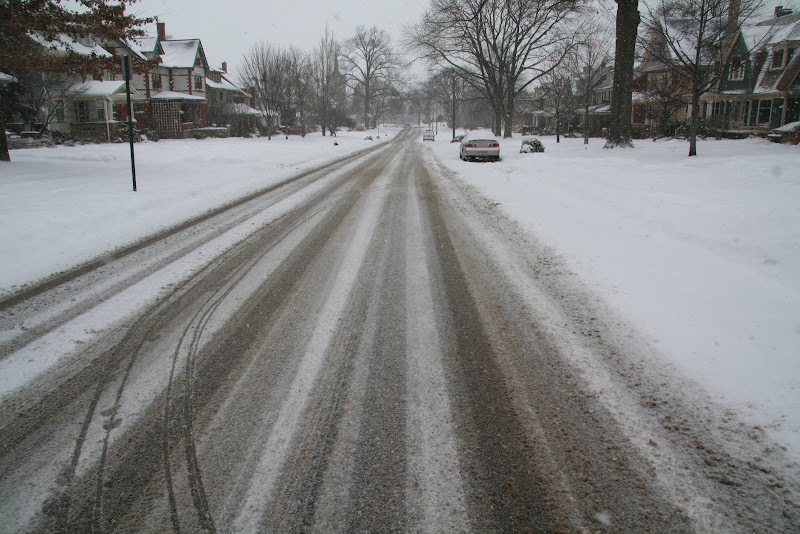 then i got to the shot of the tire lines in the snow and was confused by how it fit with dots, then i read the quote and just hooted! I'd never heard that one. I'll be sharing it with the fam tonight! My son, the math head, will like its logic and my daughter, who's exploring the aesthetics of bokeh in pictures (I just learned that word for the blurry parts of a photo, which I am sure you already knew! ), will love its whimsy. Thank you for that! Ah, you even got some freckles which are kinda, sorta like polka dots aren't they? Great photos Kimy and once again sublime quotes. Another smashing theme Thursday! Wonderful to join in the fun this week. Thanks. 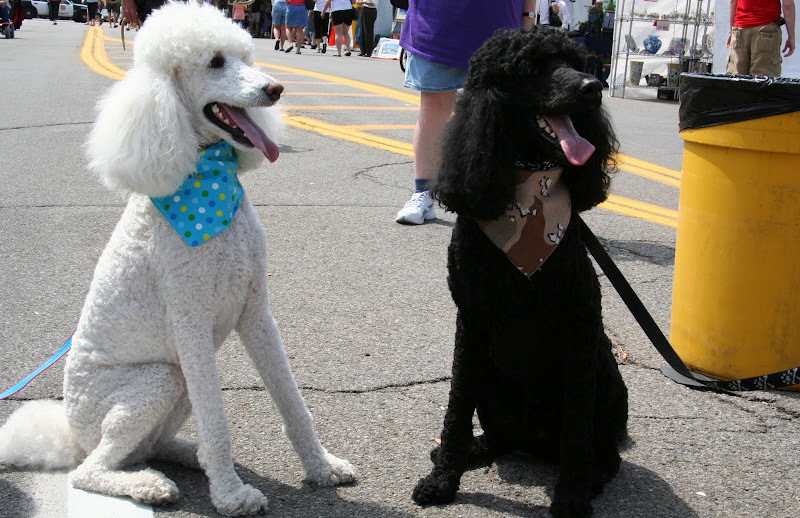 Standard poodles are so ridiculous looking.